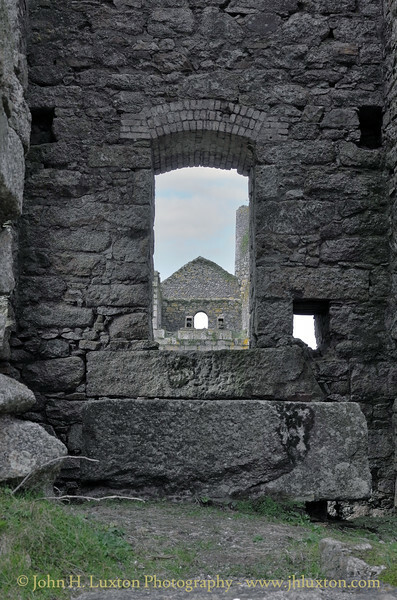 Wheal Grenville began to be worked in the 1820s though it was not productive until the 1850s, at which time the South and East mines were worked independently. 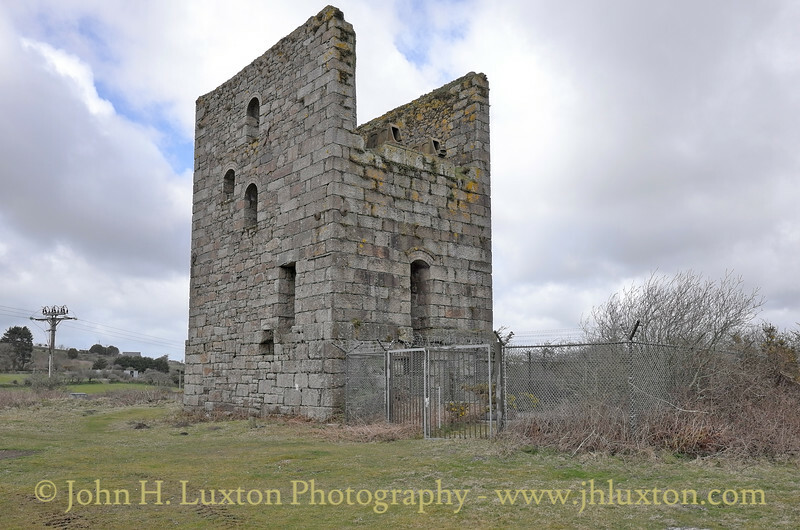 In 1906 these mines were united with South Condurrow to form the Grenville United Mines and continued in operation until 1920. 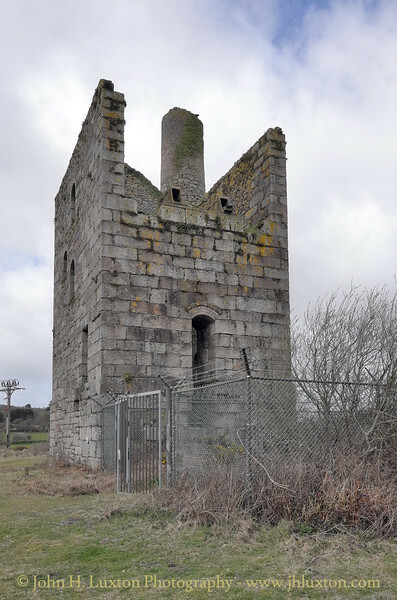 There was an abortive attempt to reopen the mine in the 1960s. The engine houses were consolidated in the mid-1990s as part of the Mineral Tramways Project. 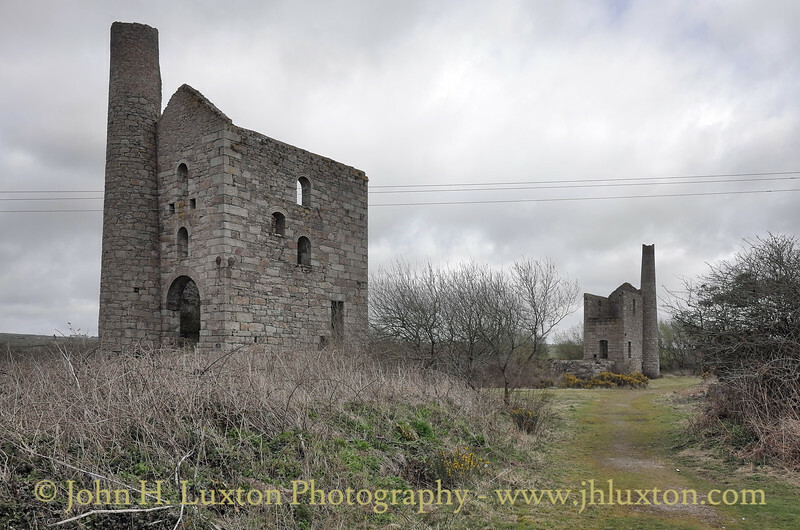 The mine now forms part of the the Conrish Mining World Heritage Site. 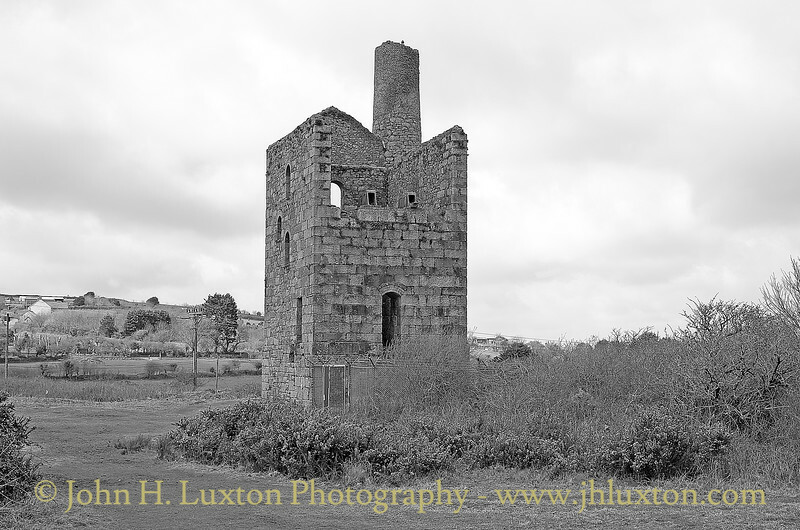 The 90 inch pumping engine house at Fortescue's Shaft. 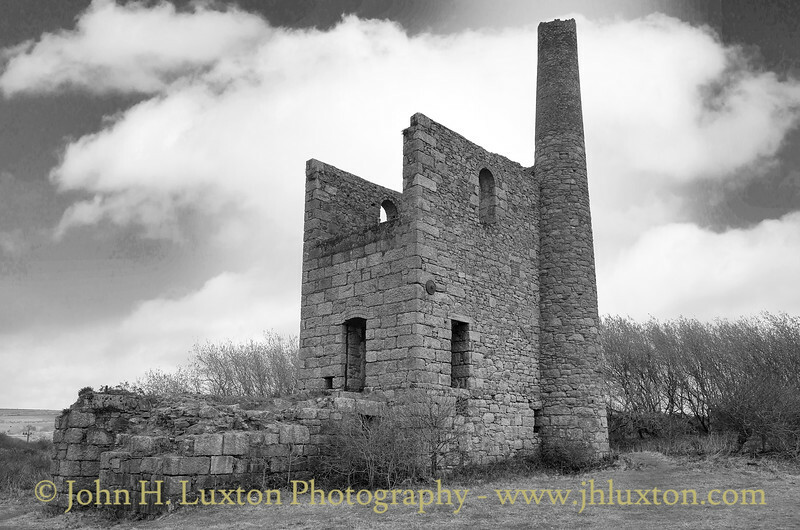 The engine which pumped the 395 fathom shaft had been built by Harvey & Co of Hayle. 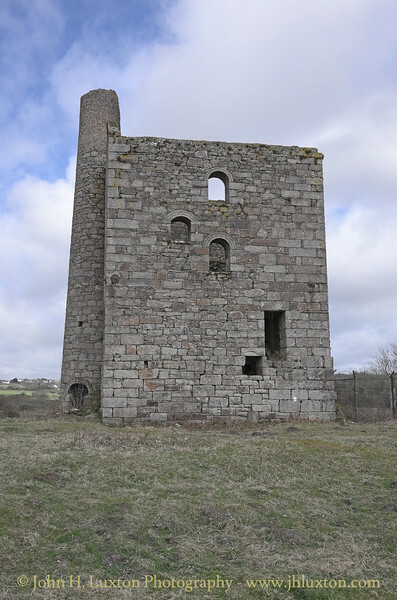 It is believed for the Ebbw Vale Colliery Company in 1872, however, it never worked in Wales and was installed in 1881 at Tresavean Mine at Lanner. 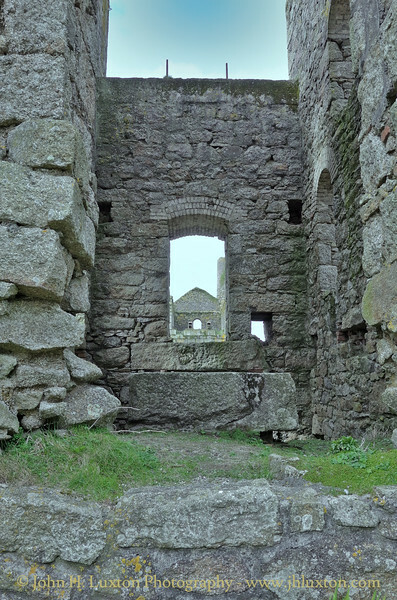 Installation at Wheal Grenville took place in 1892. 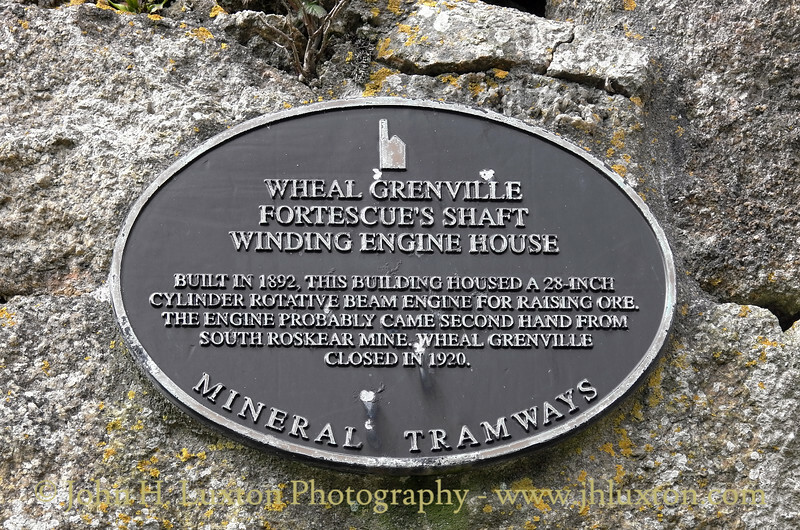 Two years after the closure of Wheal Grenville the engine was moved to New Cook's Kitchen Shaft at South Crofty Mine. The sole plate and stools on which the engine beam rested were not taken to South Crofty and remain affixed to the bob wall. 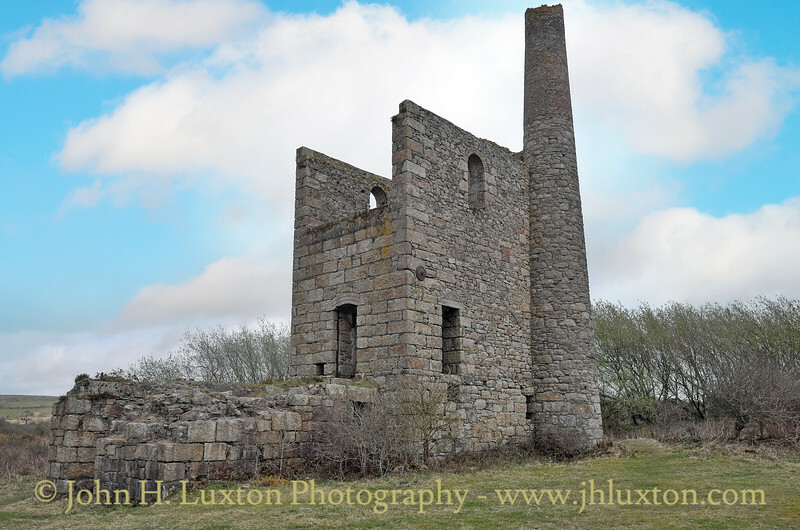 The 90 inch pumping engine house at Fortescue's Shaft. 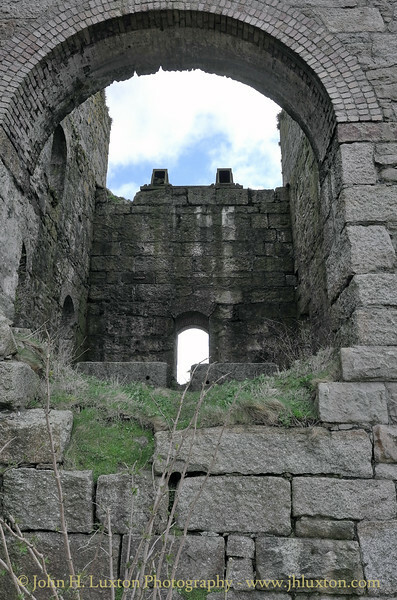 This view shows the gated archway leading into the stack. 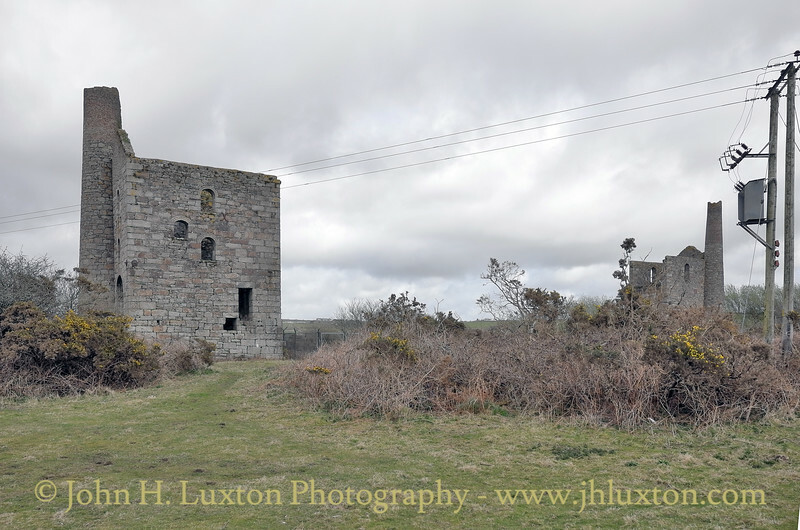 The 90 inch pumping engine house at Fortescue's Shaft. Note the sole plate and stools on the bob wall which secured the engine beam. 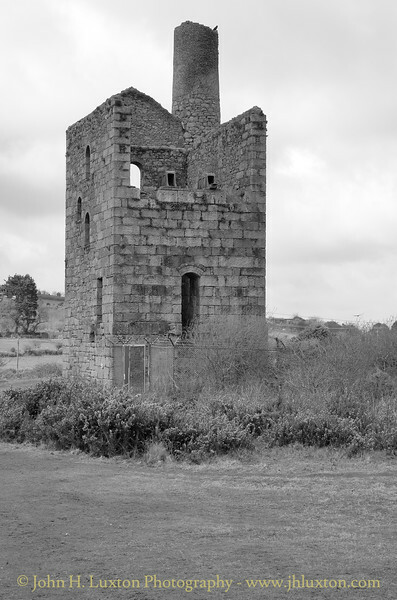 There was a failed attempt to reopen the mine in the 1960s but this was a failure. Fortescue's Shaft whim engine house. 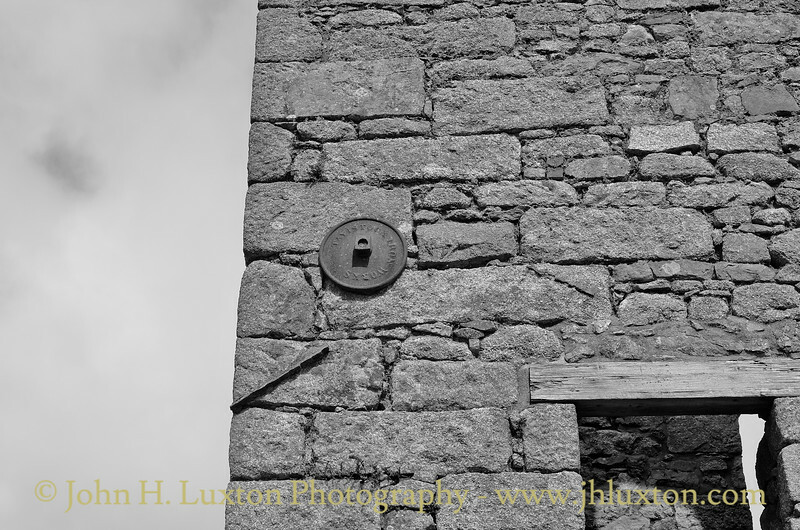 Fortescue's Shaft whim engine house - not wall plate bearing the mark "Tavistock Iron Works". 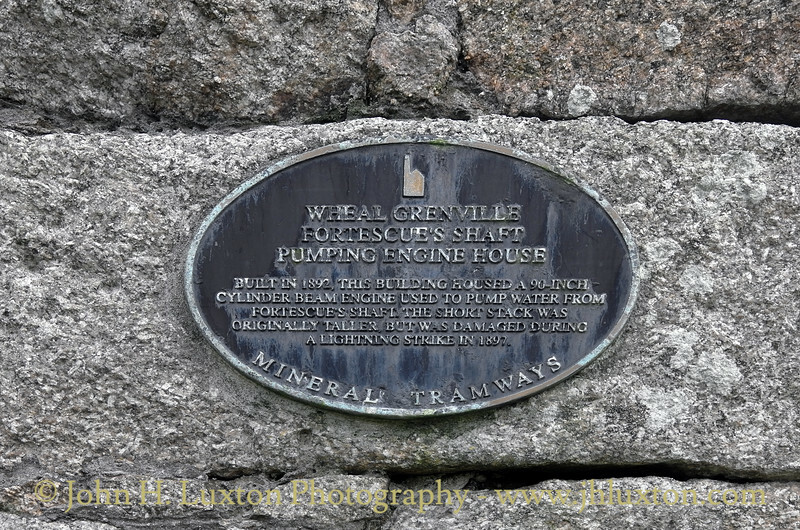 Mineral Tramways Project interpretation plaque. 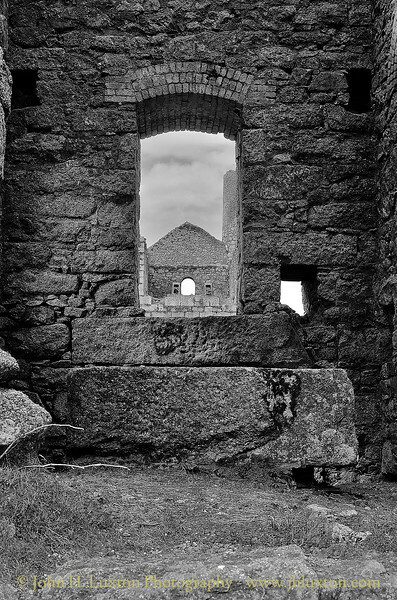 The interior of the Fortescue's Shaft whim engine house showing the engine cylinder bed stone. 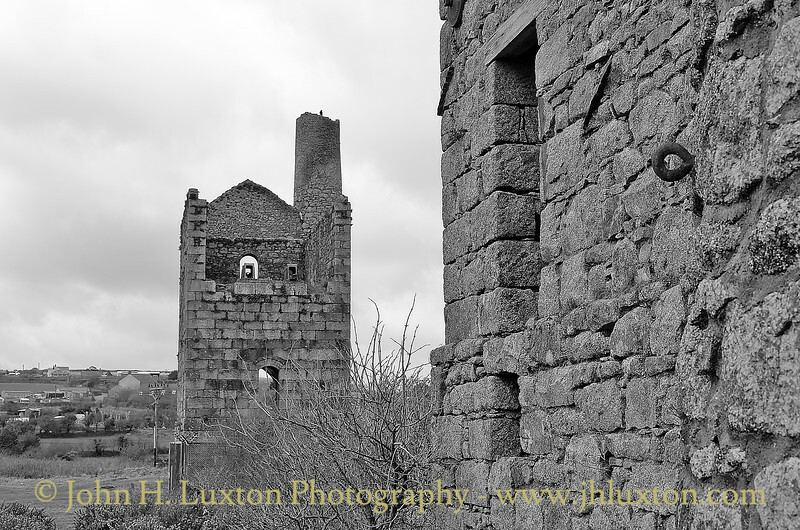 The 90 inch pumping engine house at Fortescue's Shaft and the right is the wall of the whim engine house. 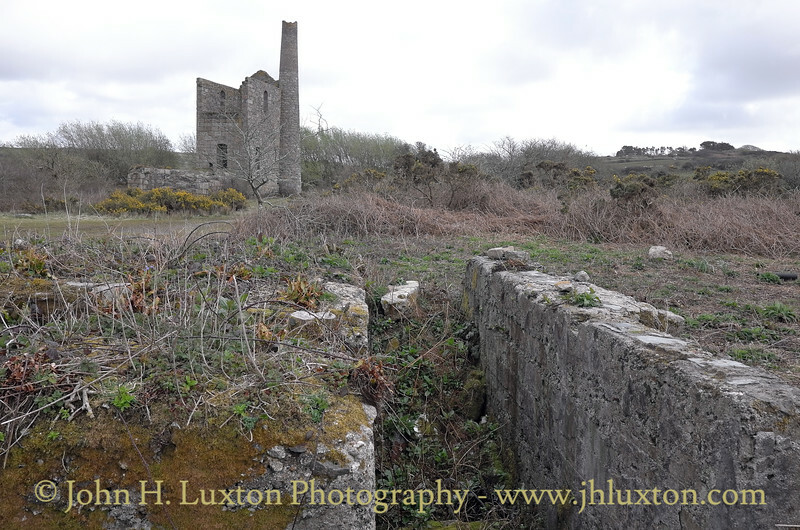 Two years after the closure of Wheal Grenville the engine was moved to New Cook's Kitchen Shaft at South Crofty Mine on the right is the wall of the whim engine house. 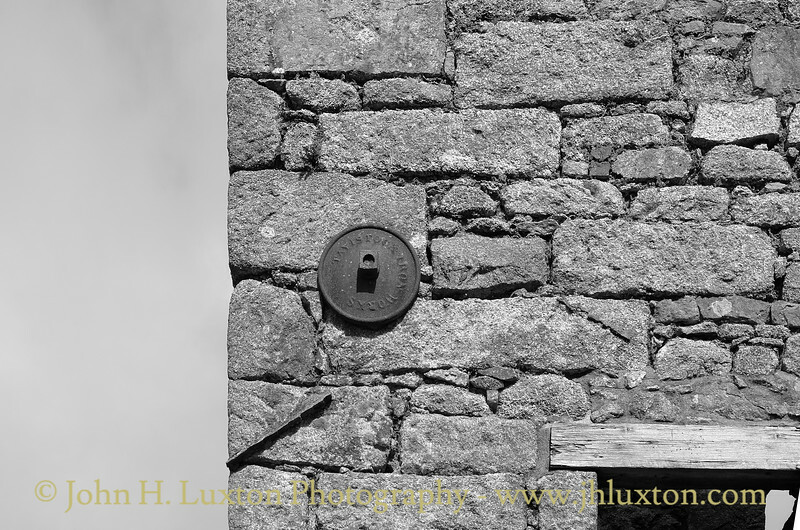 Fortescue's Shaft whim engine house carries wall plates moulded with the inscription "Tavistock Iron Works". 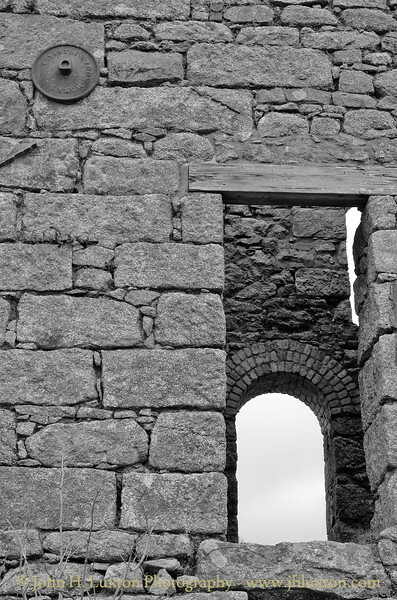 Detail of the stone work on the whim engine house at Fortescue's Shaft. Fortescue's Shaft whim engine house. 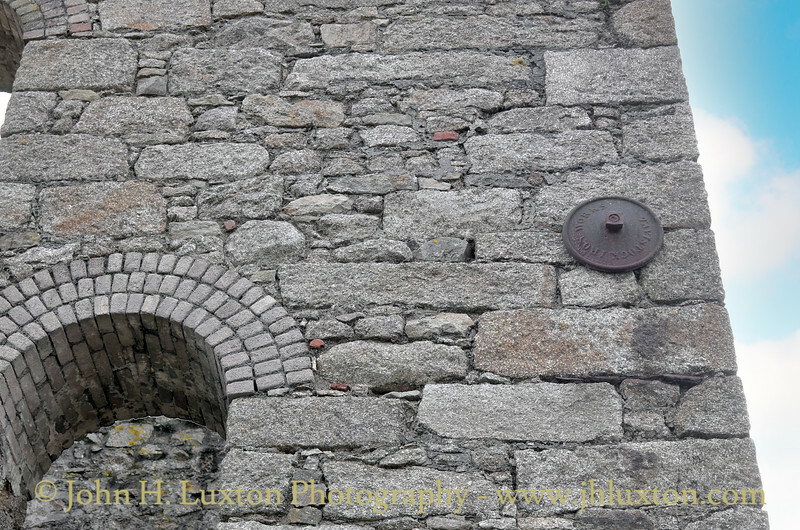 The foundations outside would have provided a base for the winding wheel powered by the engine within the house. 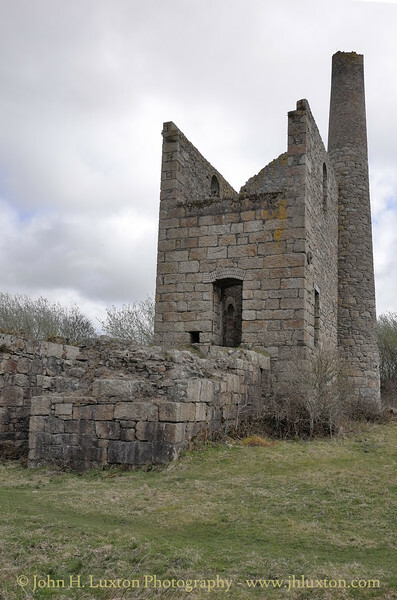 The origin of the engine might have been the Tavistock Iron Works - but this is not known according to Bob Acton's "Exploring Cornish Mines Vol 2"
This is believed to be the foundation of the engine which powered a small crushing plant. 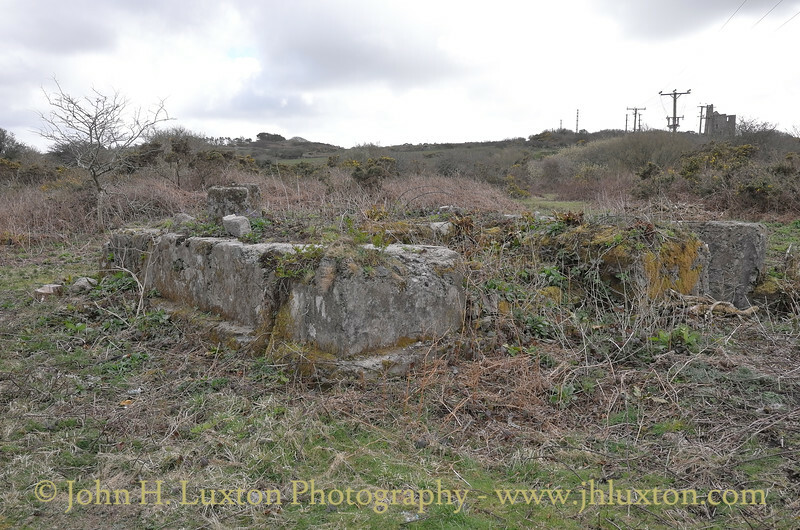 The main stamps were located at the New Stamps engine house visible in the distance. The New Stamps engine powered a battery of 136 heads of Cornish Stamps. 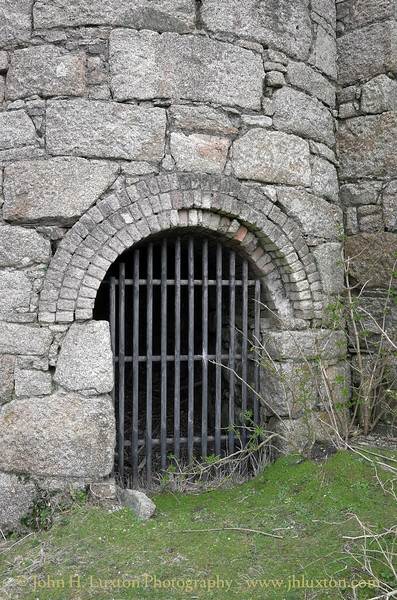 This is believed to be the foundation of the engine which powered a small crushing plant. Fortescue's Shaft pumping and whim engine houses. The mine closed in 1920. 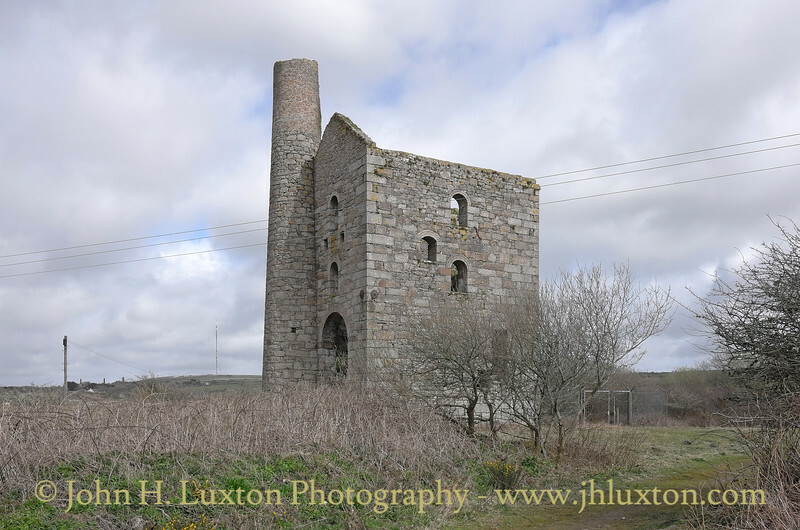 The New Stamps Engine House - The New Stamps engine powered a battery of 136 heads of Cornish Stamps.